When my family purchased a farm in central Massachusetts forty years ago, I knew almost nothing about the area. My mother described her first view of the property as "dreamy," and listed the reasons she and Dad were drawn to. The first time I visited the area, I knew the real reason they'd chosen it. The Franklin County landscape looked a lot like southwestern Connecticut where they'd had their first farm, in the 1930s and 1940s, and where my brothers and I were born. In their retirement years they were going back to their roots, or at least some of them. For me, the attraction was different. The Berkshires have the mountains and pretty tourist resorts, the coastal areas have the ocean and access to Boston, but the central part of the state has a sense of time past, of small farming communities straddling the age of the decline of light industry and growth of bedroom communities. Life eddies along the border with New Hampshire and Vermont, and Boston is no longer The Hub. These towns have a sense of rooted authenticity, now fading. This is the kind of setting that seems perfect, in my view, for stories that explore different ways of life and contemporary issues. Farmers are certainly at the forefront of environmental concerns, with questions of pesticide use, fluctuating markets, and political winds swirling. And yet, despite being remote from urban centers, such areas struggle with some of the same problems, such as a diversifying population seeking work, an influx of well-educated workers looking for cheaper housing, and an aging population worried about the next generation of workers. At present, the average age of farm owners in this state is in the mid-fifties. The idea of a woman who had the gift of healing came to me when I realized I knew someone who was a healer in a Spiritualist church in the area. Feeling very ignorant and uninformed about all this I began my research, beginning with reading about the cunning folk of Ireland, practitioners of magic and considered wise men and women who counterbalanced black magic and aided in solving crimes. Active up to the nineteenth century, the cunning folk gradually faded along with fears about witchcraft. A history of the occult in America, including the rise of spiritualism, was fascinating, and very informative, and I was slowly inching my way toward a clearer identity for Felicity O'Brien, my protagonist. Though I had listened to my parents and older brothers for years talk about the Connecticut farm, I didn't know a lot about farming. I turned to memoirs by farmers, and decided not to take up beekeeping or open a small mill. I also discarded the idea of apple orchards, pigs, and horses. I quite liked the idea of goats and chickens--for a while. Even though I grew up doing a lot of handwork, I discarded the idea of making my sleuth a quilter, knitter, or other craftsperson. I preferred having her outdoors, and often in the woods. With an unexplained gift of healing inherited from her mother's line, Felicity would be a regular farmer coping with the stresses besetting a traditional way of life in a modern world. I located my fictional town of West Woodbury in Franklin County, considered the most rural county in Massachusetts as well as the poorest. Home to 71,000 people, 26 municipalities, and over 700 farms, the County is one of three defining The Pioneer Valley, running along the Connecticut River. Both towns and farms are small; the average farm is about one hundred acres, and only four municipalities have more than five thousand residents. Felicity's property, Tall Tree Farm, is on the large side, at 500 acres, and my fictional town, West Woodbury, is closer to four thousand people. The cliche of dozens of murders occurring in tiny fictional towns has never bothered me. If I try to justify it at all I think of all those murders as a literary manifestation of the normal conflicts that arise between people when they're fighting for what they care about. Farm communities and small towns may seem quiet, but plenty of dark feelings seethe beneath green corn stalks and baskets of shiny red apples. Susan Oleksiw is the author of the Mellingham mystery series and the Anita Ray mystery series. 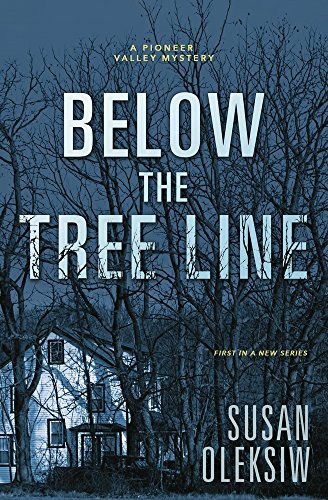 Beyond the Treeline, her first installment in A Pioneer Valley Mystery series, debuted on September 8 from Midnight Ink. Born and raised in New England, Susan Oleksiw has long been fascinated by the traditional New Englander and the way of life found there. She is the co-founder of Level Best Books, which publishes an annual anthology of the best New England crime fiction. 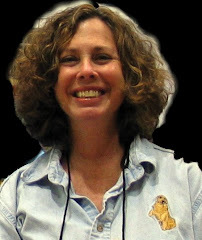 Her writing has appeared in Alfred Hitchcock Mystery Magazine, and she has served as coeditor for The Oxford Companion to Crime and Mystery Writing. Before she entered into a life of crime, Susan studied at the University of Pennsylvania, where she received a PhD in Asian studies. The author has also spent time living in India, and her fondness for the country lives on through her passion for photography. You can see more on all of her mystery series, as well as featured snapshots of her travels to India at SusanOleksiw.com. Thanks for hosting me, Janet. It's always a pleasure to visit your site.